It has been three years since India’s prime minister, Narendra Modi, started Digital India, an initiative to increase internet connectivity across the country, especially in rural areas. WhatsApp, which is owned by Facebook, has become the medium of choice: It is free, requires only an internet connection, and often comes installed on new phones. As a result, India now has more users of the application — over 200 million, or one in six Indians — than any other country, a WhatsApp spokeswoman said. But among Indians who produce, cook or care about food, the service has been a godsend. In a country where culinary traditions are often spoken but not written, WhatsApp has provided an open, democratic forum where Indians can share and codify their knowledge and skills, in new ways, and even profit from them. In my office, I have a coffee mug from Stanich’s in Portland, Oregon. Under the restaurant name, it says “Great hamburgers since 1949.” The mug was given to me by Steve Stanich on the day I told him that, after eating 330 burgers during a 30-city search, I was naming Stanich’s cheeseburger the best burger in America. That same day, we filmed a short video to announce my pick. On camera, Stanich cried as he talked about how proud his parents would be. After the shoot, he handed me the mug, visibly moved. “My parents are thanking you from the grave,” he said, shaking my hand vigorously. When I left, I felt light and happy. I’d done a good thing. Five months later, in a story in The Oregonian, restaurant critic Michael Russell detailed how Stanich’s had been forced to shut down. In the article, Steve Stanich called my burger award a curse, “the worst thing that’s ever happened to us.” He told a story about the country music singer Tim McGraw showing up one day, and not being able to serve him because there was a five hour wait for a burger. 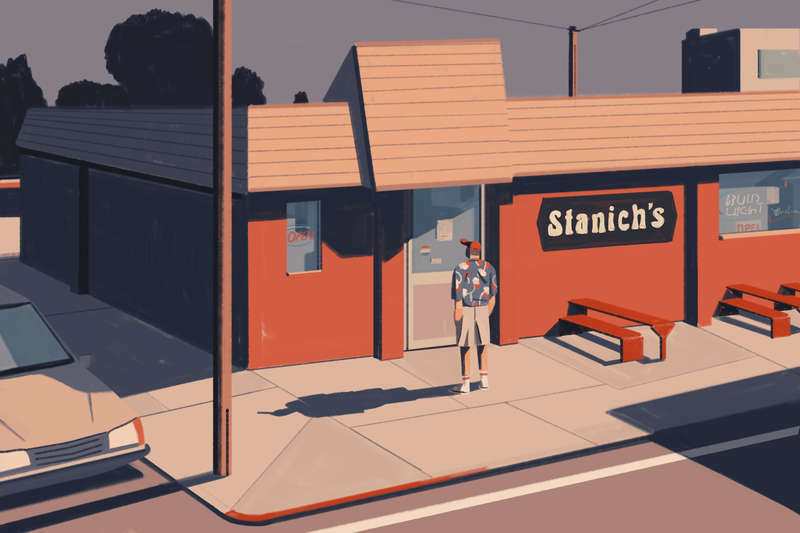 On January 2, 2018, Stanich shut down the restaurant for what he called a “two week deep cleaning.” Ten months later, Stanich’s is still closed. Now when I look at the Stanich’s mug in my office, I no longer feel light and happy. I feel like I’ve done a bad thing. And that fact is the thing I can’t quite get past. That a decision I made for a list I put on the internet has impacted a family business and forever altered its future. That I have changed family dynamics and relationships. And it could very easily happen again. I’ve been asking myself what the other side of this looks like. How do I do this better? Is there a way to celebrate a place without the possibility of destroying it? Or is this just what we are now — a horde with a checklist and a camera phone, intent on self-producing the destruction of anything left that feels real, one Instagram story at a time? 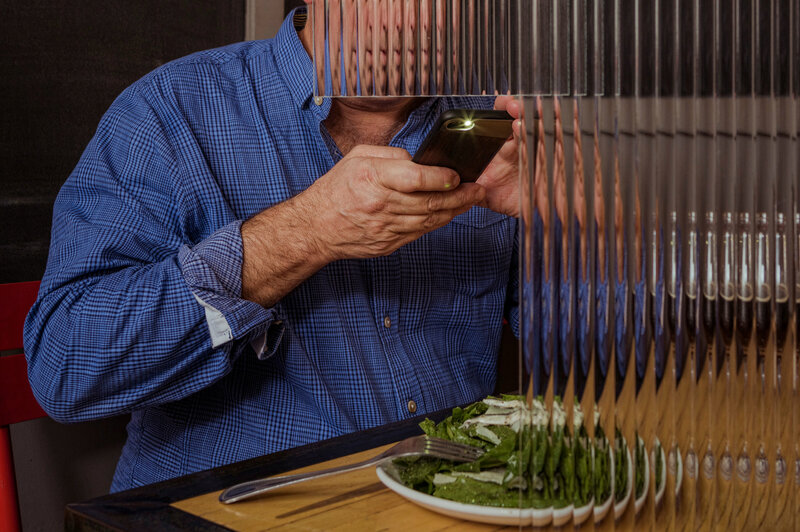 How has tech transformed the world of dining? There are lots of incremental, behind-the-scenes changes that affect restaurants more than consumers, such as more sophisticated reservation systems and point-of-sale software, but I think the most powerful, sweeping change has come from digital photography hooked up to the internet. Photography is now the main way we communicate about restaurant cooking. As a word guy I hate to say this, but it’s true. I wrote an essay about this a few years ago, when the outlines of the new world were just coming into view, and it’s much more clear now. At the time, restaurant designers were just starting to think about lighting the dining room so people could take better pictures for Instagram. Now they talk openly about it, and you see it everywhere. It’s the thing that killed off the last trend in lighting, those amber-colored dangling Edison bulbs. Now everybody is installing pin spots in the ceiling pointing straight down at the table, which is why you see all these very sharp and high-contrast pictures of plates on Instagram. The restaurants are doing this because it’s largely free marketing. (Some Instagrammers are so popular that restaurants will invite them in for a comped meal, so it’s not entirely free.) 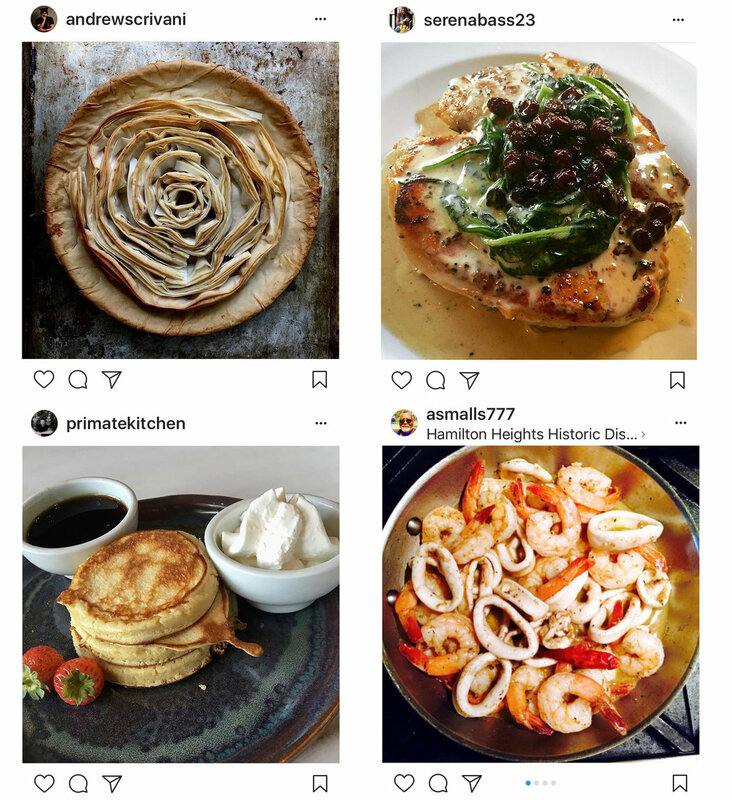 I was told that one major restaurant publicity firm in New York has a full-time employee who does nothing but help restaurants with Instagram. Today we have Instagram, overflowing with glamorous images created not by professional photographers but by home cooks in kitchens around the world. What an opportunity! With its vast reach and the technological savvy of its users, Instagram could go beyond mere glamour and open up a domestic world that has always been elusive. I’m talking about ordinary meals at home — the great unknown in the study of food. Sure, we have agricultural statistics and marketing surveys; we have household records from 18th-century castles and charts showing the average consumption of Popsicles in the United States from 1953 to 1982. But there’s nothing to tell us what a schoolteacher in Connecticut served to her family on a Thursday in 1895. Or what she was thinking when she boiled the string beans for 45 minutes, put ketchup in the salad dressing and decided to try her neighbor’s recipe for rice pudding, the one with a little cinnamon. 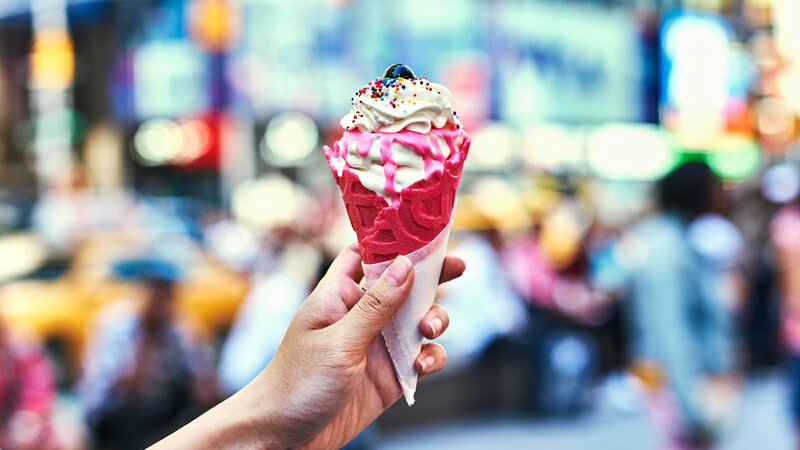 Icy, pretty frozen treats from Asia — Thai ice cream rolls, Korean-style honey soft serve, Hong Kong egg waffle sundaes, Japanese parfaits, Chinese ice-cream-filled buns, Taiwanese bubble tea floats, and Filipino and Indonesian shaved ice — are popping up in more and more places in the United States, where they put the basic American scoop shop to shame. No one knows who invented the overhead food video. Like image-macro memes or Slender Man, it most likely emerged in some primordial message-board swamp. But like everything else online, the format has since been refined, professionalized and monetized, and today most of these clips are produced on media assembly lines in Los Angeles, New York, Tokyo and London by a single entity: Tasty, a division of BuzzFeed that has turned the overhead food video into a hypergrowth business. …BuzzFeed is obsessive about learning from past successes, and once it finds a theme or format that hits, it tends to repeat it until it’s dead. That’s why you’ll see a lot of videos featuring cheese, steak, bacon and pasta, some of the most popular ingredients. And it’s why Tasty videos always feature a money shot. Layers of pastels and sparkles have taken over everything edible across social media and in real life as even Starbucks, with its “unicorn Frappuccino,” follows the trend of decorating food and drink in rainbow colors.